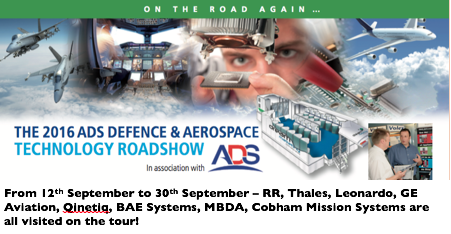 Responsive Engineering will be exhibiting at the 2016 ADS Defence & Aerospace Technology Roadshow from 12th – 30th September. Following on from successfully achieving AS 9100 accreditation, Responsive Engineering are excited to be entering the aerospace sector that will complement our current manufacturing capabilities. Our team would like to welcome current and new customers to our stand and if you would like to meet up during the course of the event get in touch.